The preview mixes footage of the live event alongside animation and comments by Slash, Pearl Jam guitarist Mike McCready and Motley Crue bassist Nikki Sixx, among others. The documentary will be screened across the US on May 26 and June 1 before its exclusive opening in Los Angeles on June 3 – three weeks before the partially-reunited Guns N’ Roses will begin a summer stadium tour of North America at Ford Field in Detroit, MI on June 23. 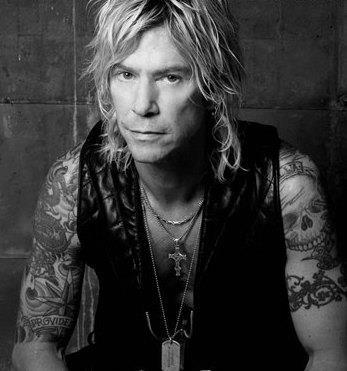 The trio of McKagan, Axl Rose and Slash have regrouped for a 2016 run with a lineup rounded out by alongside Richard Fortus, Dizzy Reed, Frank Ferrer and Melissa Reese. The band launched the trek with a rare April 1 club show at the Troubadour in Los Angeles, followed by two arena shows in Las Vegas and a headline set at Coachella last weekend. Guns N’ Roses will play Mexico City on April 19 and 20 before returning to Indio, CA for an April 23 set during Coachella’s second weekend.